My life is full of good intentions. Maybe it’s because I am a first-born-people-pleasing girl. Maybe it’s because I’m an eternal optimist. Maybe it’s because I try to see the good in people — even myself. But my plans — they always far outshine my realities (you too?). The good news is that with age I have come not to really care overmuch that the reality before me only vaguely resembles the picture in my head. It’s all good. And it’s also still fun to plan. 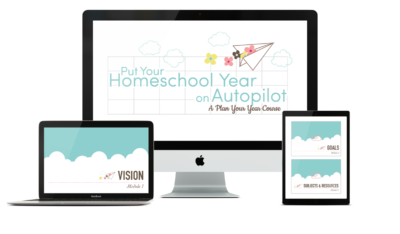 So this summer as I was putting the finishing touches on the guide and collecting all those wonderful Morning Time resources to include inside, I made quite the plan. Now, it wasn’t overly ambitious, but it was day-dependent. I am horrible at day-dependent. As soon as I declare that we are going to do something on a specific day, I am setting myself up for stress for sure. Despite my best efforts to be consistent this year, there have been more than enough days where Morning Time was shortened or just plain skipped (that is supposed to make you feel better, not make me look bad, by the way) and the entire schedule was beginning to get wacky. We had done seven weeks of SQUILT, but only three of picture study. We’re about two history chapters “behind.” We are never going to finish that book of poems by the end of the year now. You get the idea. 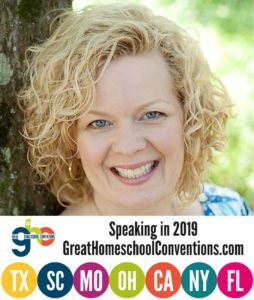 So I did what any self-respecting homeschool mom would do. I crumpled up that plan and threw it in the garbage. Who needs that kind of stress? Then I made a loop schedule (cue angels singing here). Isn’t it pretty? My stress just melts away looking at it. So if we miss a day completely because mom has to run to the doctor to have some weird eye-thingy checked out (true story), it’s ok.
Or if we shorten a day because it’s beautiful out and our friends call inviting us to the park, it’s ok.
Or if the piano tuner comes and takes two times longer than you expect and we learn quite a bit about the inside of the piano but never get around to Morning Time — well that’s ok too. Because with a loop schedule, you can miss a day. You just pick it up and do it the next day. Poetry and picture study are shorter — I usually pair them with music appreciation and My Book House. I work down that loop list until we have gone all the way through and then I move to the top again. And such a stress reliever. Morning Time should never be an added stressor to your life. If it is, step back and evaluate what you are doing and make changes as needed. If your kids hate something, then change it or chuck it. If something takes too long, shorten it. If attitudes are bad, pray for them (yours included). And if the schedule stresses you out, make a loop and live free! Prayer – Children’s Daily Prayer. 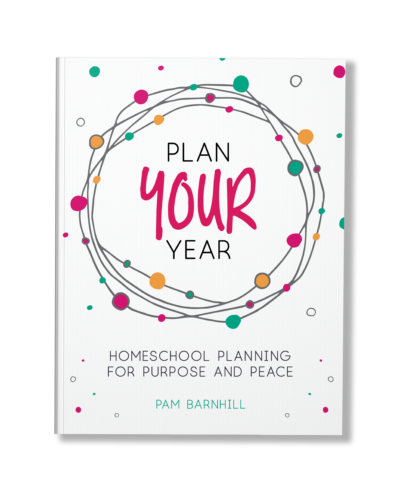 This is our third year using this resource and we love it. 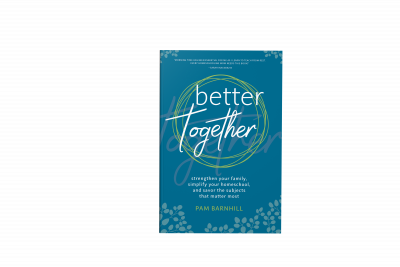 It is a prayer book for Catholic schools easily adapted to the homeschool. Modeled after Morning Prayer it includes a liturgical year snippet (saint day, feast day), responsorial Psalm, Scripture reading, reflection, and closing prayer. Takes about 5-10 minutes. Religious Reading – The King of the Golden City. When we finish this we will move to St. Patrick’s Summer. Hymn – Selections from Simply Charlotte Mason’s Singing the Great Hymns and this Catholic hymn collection. Bedtime Math – We use the free app for the problem of the day, but there are books available too. Geography – We do a Charlotte Mason-style geography drill. Details coming soon. Nature study – Learning About Birds with Thornton Burgess from Simply Charlotte Mason. History – We read from a spine to complement our history studies from our co-op. This year it is Stories of America Vol. 2. Music appreciation – SQUILT Musical Eras Bundle. We don’t always do the notebook pages, but we love all the YouTube video variations. We usually supplement with a composer biography picture book. Poetry – Enjoy the Poems: Robert Louis Stevenson. This is a simple biography and collection of Stevenson’s poems. Nothing earth-shattering, but we read and enjoy one a week. My Book House – We simply pick up the next volume and read a little each time. Picture study – This is where I am struggling most. I got a “curriculum” at the beginning of the year but it was just too much trouble. Now I am using some Dover cards of Monet. I am not sure where we are going next — maybe some Mike Venezia books and online exploration. Anyone have an art appreciation resource they love? So to loop back around to where we started, (ahem) don’t be a slave to a schedule of your own making. Make a new one. Use a loop. Do something to reduce that stress. 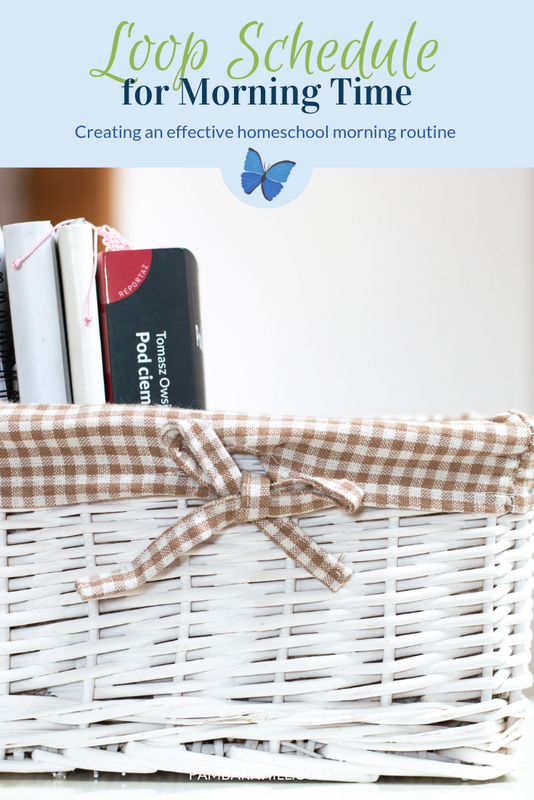 Morning Time can’t set a disposition for learning in your home if it is causing you to break out in hives. 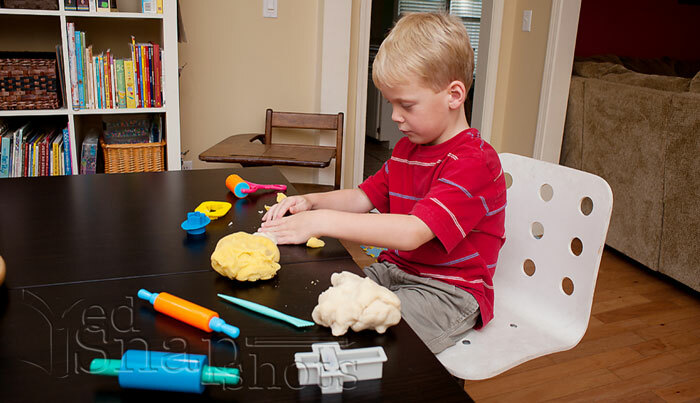 We really like Meet the Masters (homeschool edition) for art appreciation/art projects. Very simple to implement. I also bring in Venezia’s biography and other items about the featured artist, but that doesn’t take much time/effort. I think MTM is a good complement to SQUILT. Because I have a large age range of students (6 – 15), I use the ages 10 and up for everyone – it’s perfectly appropriate for all. We completed one full track of 5 artists and now we’re on to a new track. We are using Simply Charlotte Mason’s picture study curriculum and loving it. I usually add in a picture book or two and some You Tube videos. I highly recommend the SCM Picture Study portfolios, as well! We spread the biography reading over a few days and then study (CM-style) one piece of art per week, then post it on our fridge for easy viewing. All of my children, ages 2 to 8, are engaged and learning. And I am not stressing! Thanks for your comments about SCM picture study! This is just what I’ve been looking for! The only thing that has kept me from buying was that I wanted more modern artists this year. I am off to have another look — thank you. Our Scholé Group in Virginia uses Language Arts materials from Cottage Press (www.CottagePress.net) which has picture study prints compiled by artist. Look under the ‘Primer Resources’ tab on the web site. They are listed by artist and include pdfs that can be printed at home for display (either a print per week or set up an entire artist set if you have the wall space). Artist biographies are included at the end of the files which are helpful in discussion about the artist. Further directions can be found in the Teaching Helps books for the Primer series. Our Scholé Group combines our Primer and Grammar classes (K-6th grade) for Composer and Artist Study each week (thirty minutes total). We will study a total of four artists and two composers this year. Each family is sent home with the print that was studied for their own personal use (we had the entire set for the year printed for us as a 8×10 copy on 80 lb. paper to get a bulk discount on the cost). The Primer Language Arts books include a picture study page within the weekly lessons for the student to draw the print and reinforce what they learned in class. We’ve been very happy with this resource (including the Language Arts books – our 2nd grader through 11th grader have used or are using Primer I, Primer II, Fable & Song, Bards and Poets, Poetics & Progym I and Poetics & Progym II (Poetics & Progym II is in development within our co-op!). A number of ideas can be found online to display the prints – even inexpensive picture frames that can have the print switched out or a tabletop easel are great. Hope that helps someone get started studying art! Kathy – These are beautiful programs. Thanks so much for bringing them to my attention. We don’t do morning time, other than Bible reading, but we do have some subjects that we do together sometime during the day (depending on the day). I put those into a loop schedule this year, and it’s been so helpful! I have a problem with the day schedule also. We plan to spend 1/2 hour on each of 2 subjects, but sometimes we only have time for 1, or that one lasts an hour so having it in a loop means you get to everything equally! Each of my kids is also reading 4-5 books on their own, and I put them on their own little loops. It seems confusing, but I just keep a schedule day to day, putting on wherever we left off the day before. You are right – much less stress this way! 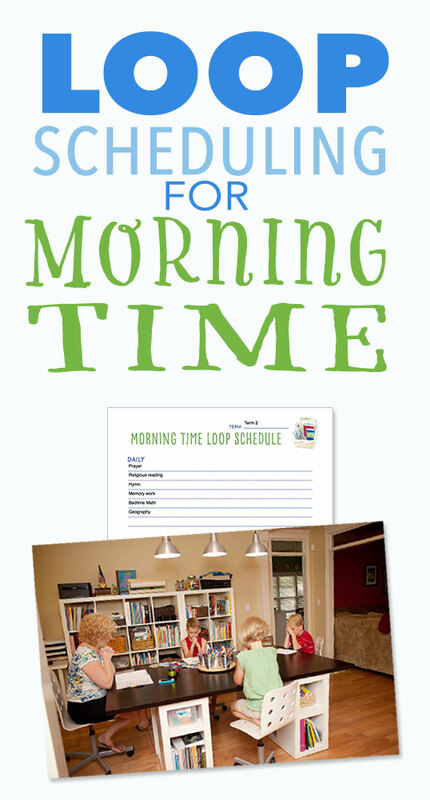 Pam, do you have a blank copy of the Morning Time Loop? 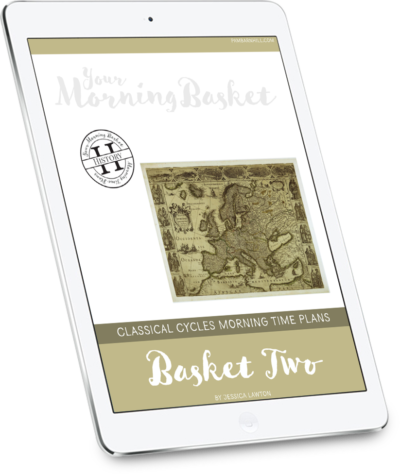 I’ve just finished reading Your Morning Basket and am ready to add Morning Time to our school year. The loop makes so much sense and easier to hit all the high points that I hope to in our Morning Time. Thank you for such a great resource! Jesse – Yes, I will be adding it to the Big Basket and Little Basket pages today! You can just log-in to download your own copy. We like using Usborne Book of Famous Artists and the Usborne Book of Famous Paintings along with their sticker books and Discovering Great Artists. Love those books! And have used them before for artist study. I was just wanting to study one artist for a longer period of time this year. We are enjoying Memoria Press’s kindergarten art cards. They have them for first and second grades, too, but you could use them for any level. They are just the cards, but if you just want to enjoy picture study in a simple way, you can easily find out more about the paintings online. We have the Kindergarten Enrichment Guide, but it provides just a little about the art portion of enrichment. They are 5x7s. So far, my Morning Time plan consists of just Bible (prayer, reading, hymn, memory verses…) and pre-K learning topics (ABC S, 123s, basic phonics…), but thank you for showing me how I might easily implement just a little bit more. Also, anyone know of a prayers that are non denominational? They have tons of different artists and look well done. And I have heard great things about the Memoria press cards as well! We use that series too. I like the questions they include in the little descriptions and the short biographies. We do one picture a week and then, sometimes, we look back at the previous pictures. I use some of the pictures for our journal entries (which my sons dictate to me since they’re six and four). Last year we used a Catholic Heritage Curriculum at set and did it as a co-op with another family with three little boys. I have Usborne art materials, books and art cards, and I plan to use them in the future, but I like the Come Look With Me series for its simplicity and variety, the phrasing of the questions. .. It just seems to fit our needs at this point. Your posts are always so helpful, thank you! 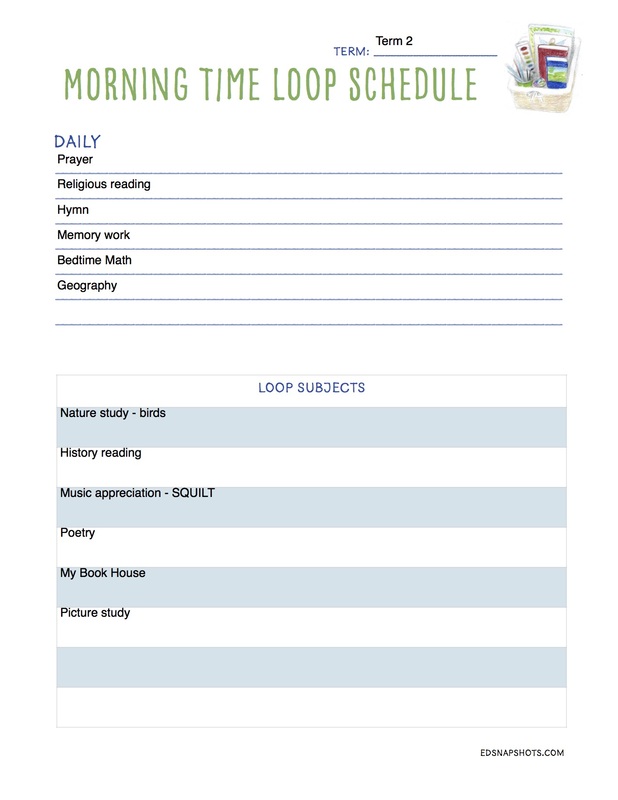 Just curious, is this your Morning Time routine throughout the whole school year, or do you change it by term? (And if so, how long is a term?) We’re coming up to the end of our 2nd term, and starting to get a little bored/antsy with our routine. I might implement some of your ideas to change things up a bit for us over the next term, but not sure how much to expect to get done in a 6-8 week period with the subjects in the loop. Which, I know, it’s not about how much of the book we finish, but I like to have some guideline so I know if we’re getting way off track (iow, I need to know if I’m getting to slack!). Oh, we also are using the Picture Study Portfolios from SCM. Very simple to implement, low key, etc. Short story — be creative. We are using Catholic Schoolhouse this year, and it has a beautiful art component that could be used on its own as picture study (the spiral bound book has full page art for each). It also has projects that go with each artist. This is our first year using it and we are really enjoying it. I love this. This is where I need to loop. I was attempting to loop some of our morning basket subjects, but your format makes more sense to me. Rather than referencing two or three pages, I can look at one sheet. Genius! We have been doing a modified Ambleside Online curriculum and this will make things less stressful. I found your blog via Misty from Simply Convivial. Yeah! 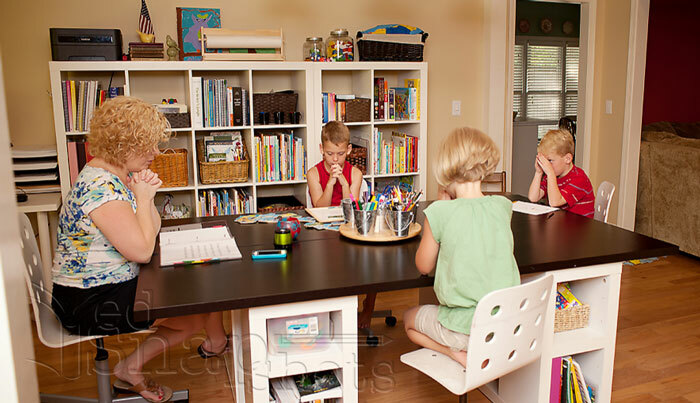 I want to get the children’s daily prayers book this year for our home school. Would you recommend having one for the whole family or one for everybody? Rita – I have always done just one for me and then I lead the prayer. An older child could lead from one book as well. The tasks never take longer than 10 minutes and their bedrooms and bathrooms stay reasonably clean. This is a random question – I keep seeing the picture of your kids engaged in other activities while you are reading. Are they always allowed to play with something quietly while you read or is there ever a time where you require them to sit still while you read? I have 6 kids 1-9 and so read aloud time can be quite wiggly and interrupted with many questions or random/unrelated thoughts. The oldest 2 are new to our family so I am fresh to investigating concepts like morning time and reading-aloud and using living books for subjects. Up until now we have mostly been an active on-the-go family and so I feel like we are all adjusting. Thank you!!!! Yes, they are always allowed to play. I never require them to sit still while we read in Morning Time. I do require them to give full attention when we are reading for narration — writing, history, literature — but that is one-on-one and they are right beside me for that. When I try to select the picture of the school room, I don’t see an option to have it delivered and installed in my home. Suggestions? Ha-ha! Don’t we all wish?!?! I’ve tried signing up several times to get your free printables and never receive an email in my inbox (i’ve checked the junk and spam boxes too). I wonder if it’s because I already subscribe to your emails? Anyway, I would love to get your looping planning pages. Thanks for you help! We have found this to be, hands down, the best for us as well! I like giving her the power of choosing her own cards. To keep our days balanced she chooses 1 “A”, 1 “B”, and 1 “C” card. The letters correspond to the type of work involved: things that we work on together vs things she can do alone or with little assistance, active vs quite work, etc. Otherwise, she would pick 3 things we had to do together everytime! Did yoy make this table or buy it? I love it. I have been using the free plans for art appreciation from Erica at enrichmentstudies.com. She has plans you can buy as well, but we just started kindergarten with our oldest, so the free ones have been sufficient so far. We also use her Classical Meets Cartoons course for music appreciation. Just another suggestion in case you aren’t familiar with the website!